Inheritance is one of the most important feature of object oriented programming. Using inheritance, you can create new classes from existing classes. The newly created class is known as or sub class and the existing class is known as base class or super class. Derived class inherits all the fi elds and methods from base class and adds its own elements. 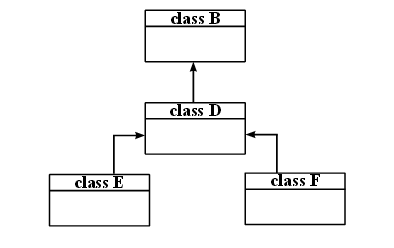 Inheritance relations among diff erent classes is called inheritance hierarchy or class hierarchy. 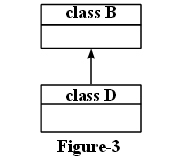 Classes at higher level in the hierarchy are generalized classes and classes at lower levels are specialized classes. 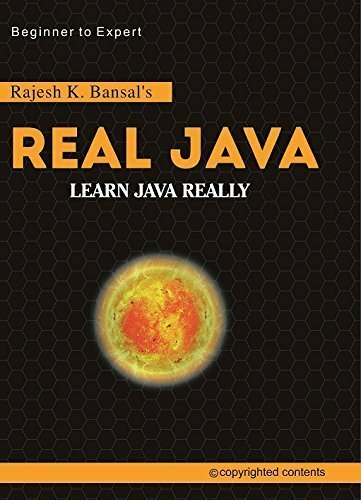 class in Java, whether user defi ed class or library class, inherits java.lang.Object class implicitly. Inheritance represents is-a relationship inheritance hierarchy: According to above inheritance hierarchy SavingAccount and CurrentAccount classes inherit class Account. The base hierarchy shows is-a relationship. It means that an object of SavingAccount class is an object of Account class. The is-a relationship is not applicable on SavingAccount and CurrentAccount classes because the object of SavingAccount class is not an object of CurrentAccount class. 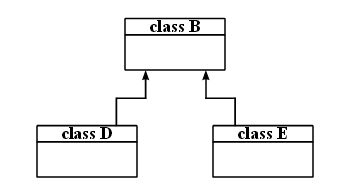 In Java programs, inheritance relation between classes can be established using keyword extends. Explanation In this program, the method getSquare() is the member of class Common, which is used in Circle class for calculating area of circle (line 13) and in Cylinder class for calculating the volume of cylinder (line 21). Note:Multiple inheritance using classes is not allowed in Java. The name of the method, number of parameters, types and their order of appearance should be same as the method to be overridden from super class. A final method of super class can not be overridden. A method of super class having higher level of accessibility can not be overridden by the method having lower level of accessibility. For example, a public method cannot be overridden by a protected or private method. But a protected or a private method can be overridden by public method. qualify as static. If the overridden method has a throws clause in its declaration and if the overriding method also has a throws clause then the exceptions included in throws clause list must be either one of the exceptions in the throws clause list of overridden method or a subclass of it Note:The above point is applicable for checked exceptions only. However, it does not matter for unchecked exceptions The following code sample demonstrates the treatment of checked exceptions using throws clause while overriding a method. If the overridden method has throws clause, the overriding method can skip the throws clause (applicable for checked exceptions only). The above syntax is error free, even though throws clause is not used while overriding the method.